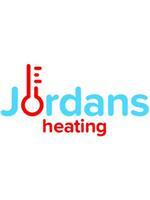 Jordan's Heating - Central Heating Engineer, Plumber based in Wolverhampton, West Midlands. Invoice history based on 154 reviews. Jordan's heating, offers over a decade of experience working in the gas trade. All plumbing and central heating work undertaken. 10-year warranty on new Worcester and Ideal boilers. Finance options also available. Cannock, Penkridge, Dudley, Shifnal, Newport, Stafford, Telford, Wolverhampton.